An elite team of Ukrainian special operators will help Russian forces find explosives on the bottom of the Black Sea, a state-run Russian news agency reported. In 2012, Scoop Deck brought you the story of 10 dolphins being trained by the Ukrainian navy to attack human combat swimmers, possibly using knives and guns strapped to their heads. The program resurrected training efforts that dated back to the Soviet Union and had operated under Ukrainian military control briefly, then shifted to civilian jobs such as working with disabled youth. The whole unit shut down in February, RIA Novosti reported. Soon after, the dolphin’s training center in Sevastopol — along with the rest of Crimea — fell under Russian control, leading to a series of tense standoffs between military forces and some high-profile defections, including the top man on the dolphins’ organizational flow chart. News of the dolphins’ defection went viral, naturally. And new movie-themed memes probably won’t be far behind. 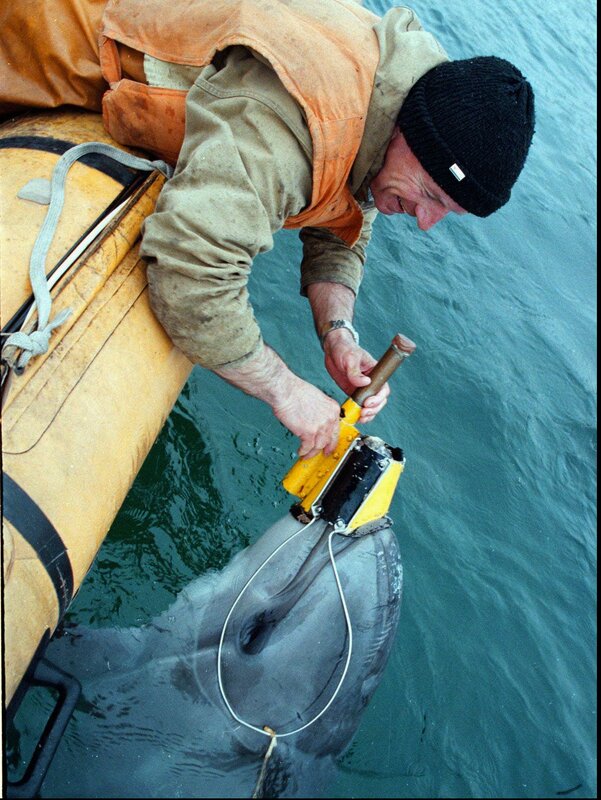 The U.S. Navy uses dolphins for some mine-detection duties, but plans to stop the practice in the coming years. Sevastopol and San Diego host the only known facilities that train marine mammals for such use. Learn more about the U.S. Navy’s Marine Mammal Program here.